How can I use Adjust audiences in Batch ? You can extract a list of users created with Adjust Audience builder, and target these users with Batch following these simple steps. Adjust is an attribution service that gives you insight on the impact and performance of your mobile marketing strategy. Create your audience following Adjust documentation : https://docs.adjust.com/en/audience-builder/. When you will select your preferred method of user identification, be careful to choose Advertising ID, and not Push Token. Every group that you create generates a dynamic URL, located in the expanded details sidebar (located on the right-hand side of your screen). Each URL directs to a CSV file containing information on all users within that group. 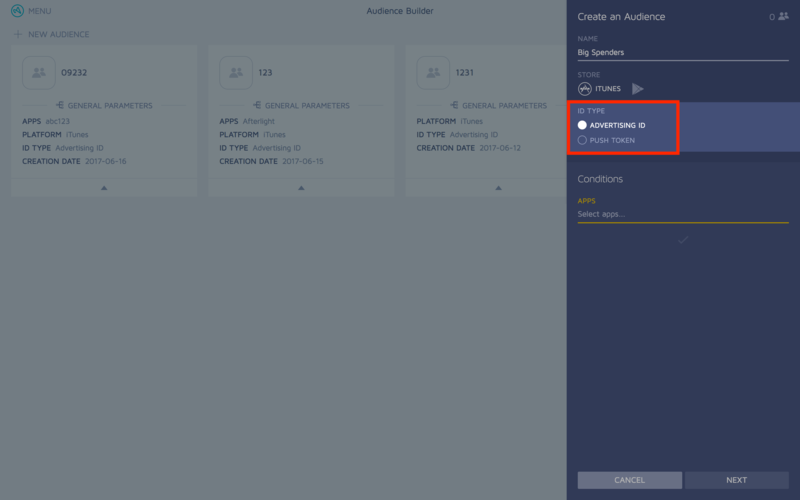 Go back in your Batch dashboard in the Settings > Audiences section. Click on "Upload Audience". 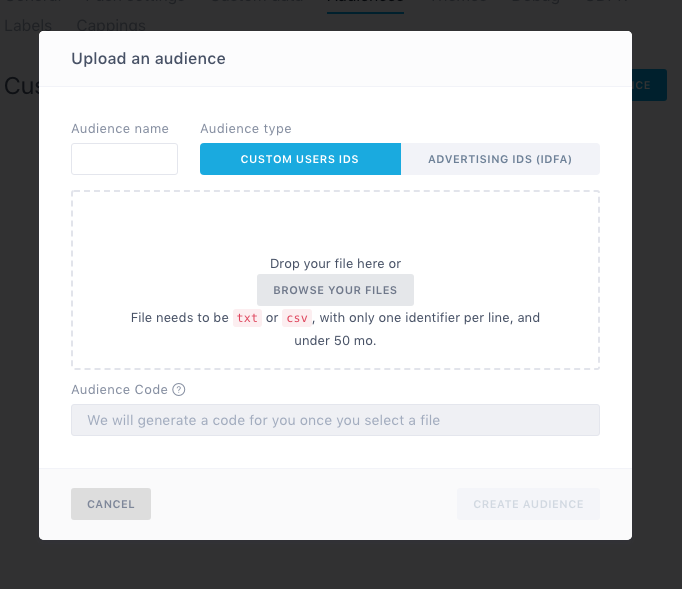 Name and upload your CSV file, selecting Advertising IDs as Audience type. You will be able to target this new audience in the usual campaign creation form. Just select it on the dropdown list ! That's it ! You can complete and send your campaign.